There are certain social conventions you must always adhere to. 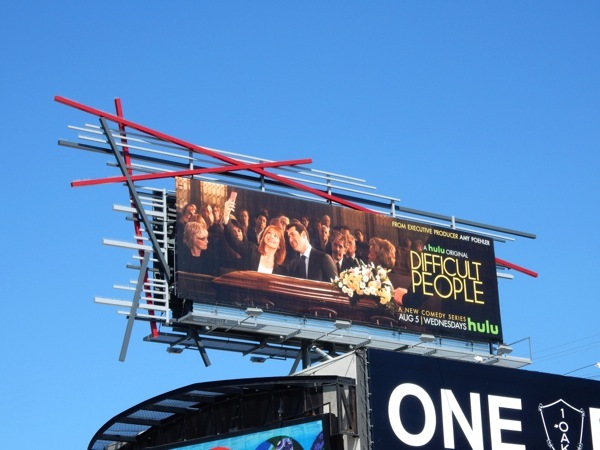 You never wear white to upstage a bride at her wedding, you never sleep with your best friend's significant other, and you never take a selfie over the coffin at a funeral. 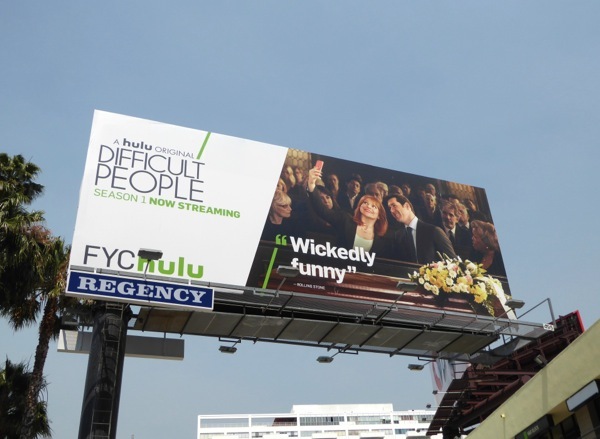 This ad creative for the series premiere of Difficult People certainly speaks volumes about the type of characters in this new show from Hulu. 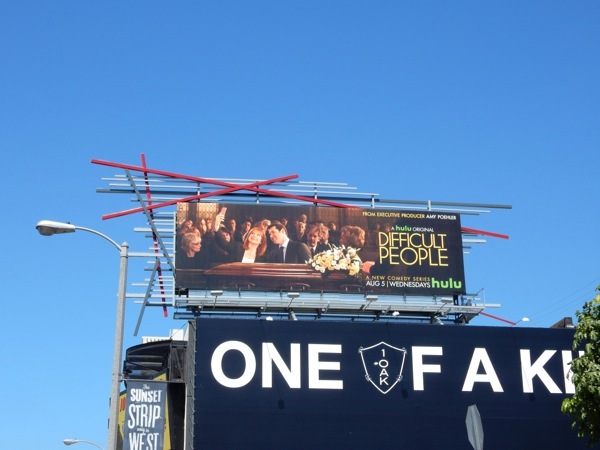 Created by and starring Julie Klausner and Billy Eichner (Billy on the Street), they play shrill and narcissistic fictionalized unsuccessful versions of themselves, fame-hungry New Yorkers who do stand-up and annoy everyone, except each other. 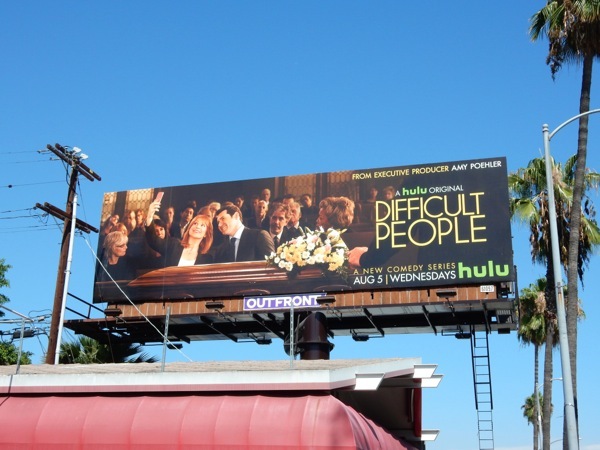 These truly do sound like Difficult People, who are always complaining about something and are never truly happy with anything, all the while wondering what's wrong with everyone else. 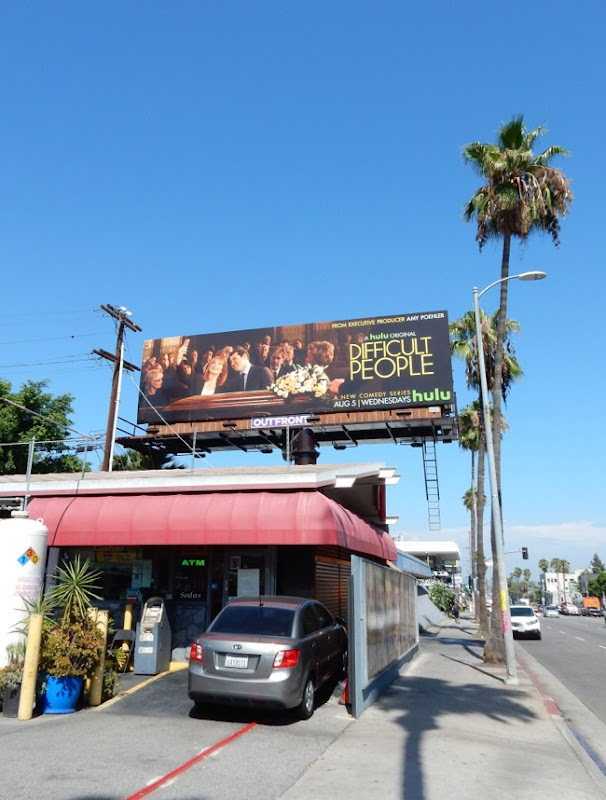 These macabre 'selfie' series launch billboards were snapped in two different locations along Sunset Boulevard on July 29 and August 1, 2015. 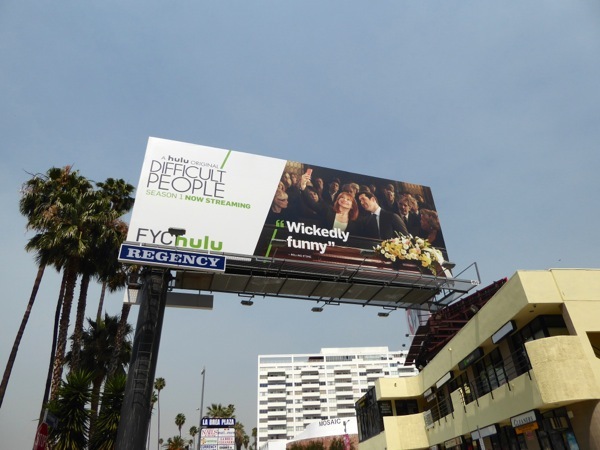 Only the other day Daily Billboard was remarking how Hulu didn't have the same quantity (and quality) of original programming as streaming services like Netflix and Amazon, but in recent weeks they've been trying to prove us wrong with a whole host of new shows and returning series advertising in the skies of L.A. 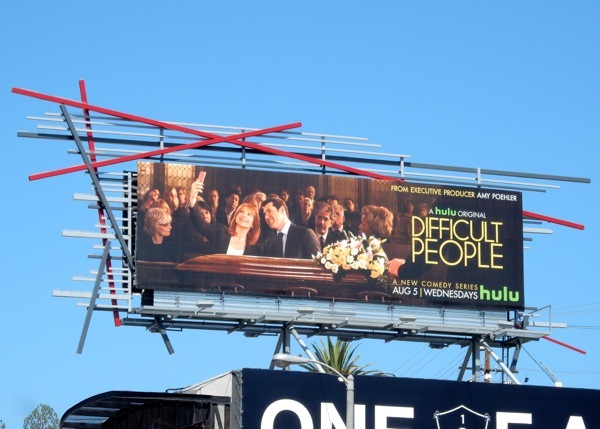 UPDATED: Here's also an Emmy consideration billboard for the difficult duo's first season. 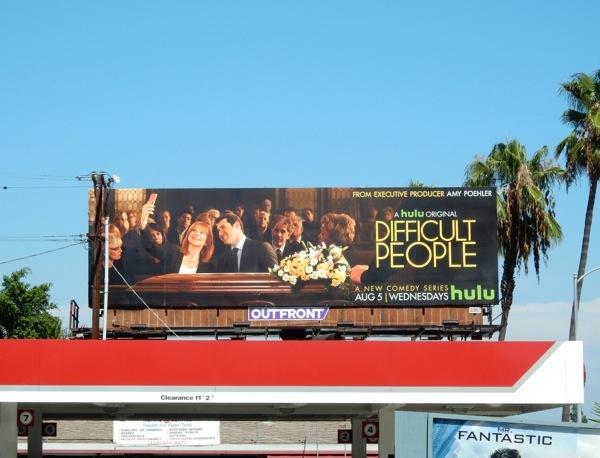 This FYC Hulu billboard was snapped along Hollywood Boulevard at El Cerrito Place on a hazy June 17, 2016.